Rare instrument with Hutchins Master Label. Outstanding example with a truly fantastic sound, nice substantial (but not too chunky) neck profile, tall frets. 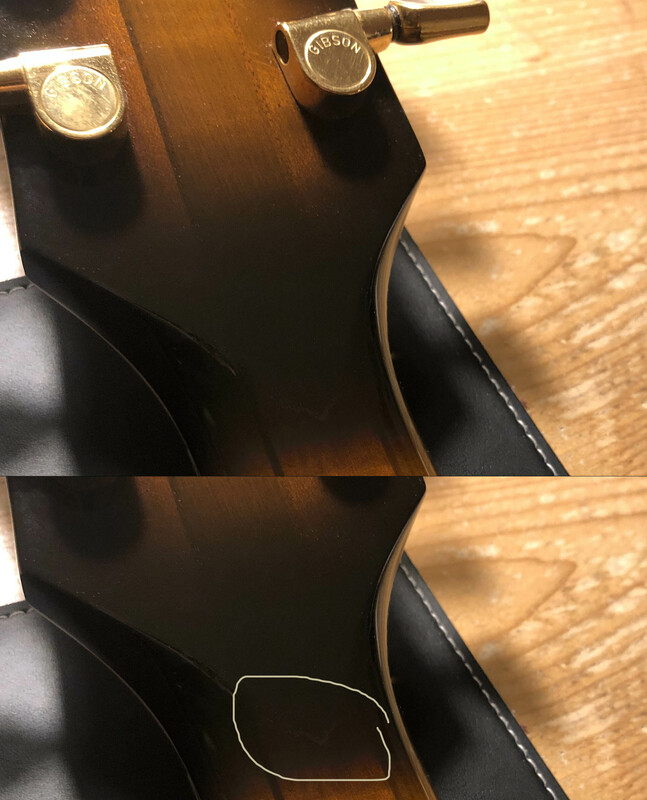 Small optical minus: The V-shaped spot on the headstock (see photos 3) is 100% no repair, this can be seen without any doubt under black light: it is the same old varnish as on the whole guitar. A repair would have to be accompanied by a varnish retouching. This is undoubtedly not the case. Thus it is only a small discoloration - which unfortunately raises the suspicion of a repair. However, this can be ruled out. Therefore I reduced the price by 500,-. Translated with www.DeepL.com/Translator + + + Comes with original case, documents.